The children in Johnson House preschool have been taking advantage of our large grassy area to further practice and refine their gross motor skills. The ‘space hopper’ balls have been thoroughly enjoyed by the children as they learn to balance and control the ball. 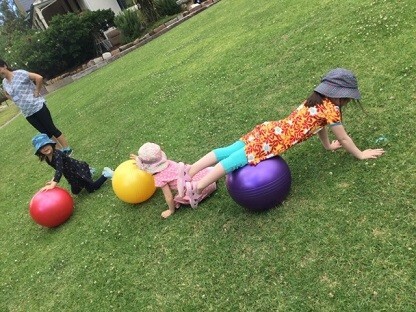 Such bouncing activities help to enhance postural control, muscle tone and motor planning. During these experiences the children have also helped to invent games, suggest ideas and work together to race and ultimately… have fun! 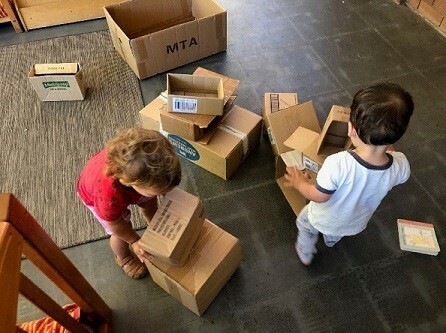 Through such games the children are not only learning to build on their physical skills, they are also learning to be a part of a group which involves the need for turn taking, listening and cooperation. 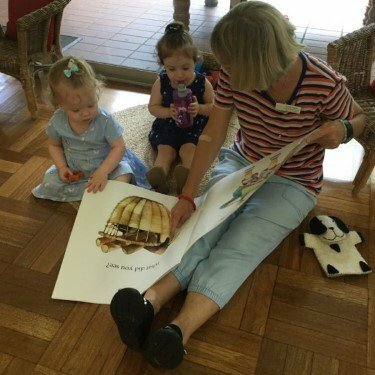 The children and families in Johnson House Toddlers celebrated together at our end of year party. The families brought along delicious food to share with each other, and the children were enthusiastic about getting their faces painted and celebrating with their families. 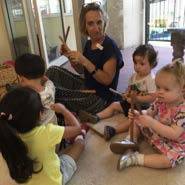 This week is the last week for some of our toddlers! 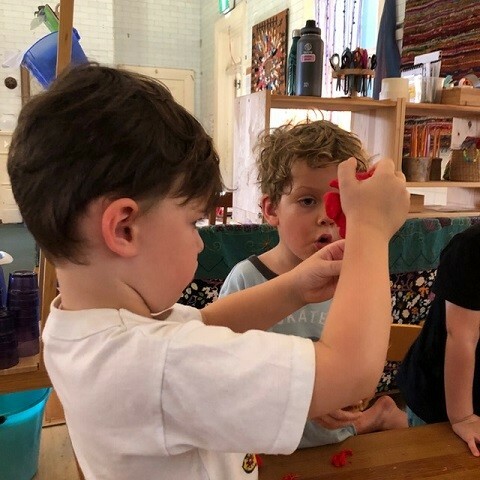 We have been doing lots of transition visits to get to know the new space in Robinson House, learning the routines, and building relationships with the educators in the preschool program. 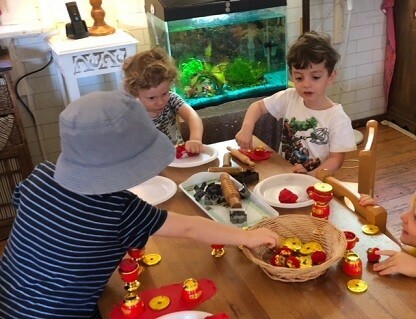 It is really lovely to see our toddlers participating in the morning ‘gathering time’, becoming familiar with where to go to the toilet and wash their hands, and exploring the many learning opportunities available in the room, such as dramatic play and art/craft activities. Last Friday, the families at Murray House came to our end of year celebration. 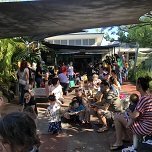 It was wonderful to see everyone coming together and sharing delicious food, lovingly made by the educators and parents. 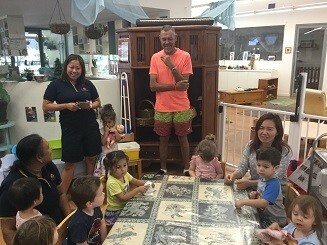 We also cherished the opportunity to meet some of the children’s extended family members and other important people in their lives, such as grandparents, step parents, and siblings. The Murray House team would like to thank the families for their collaboration throughout the year. 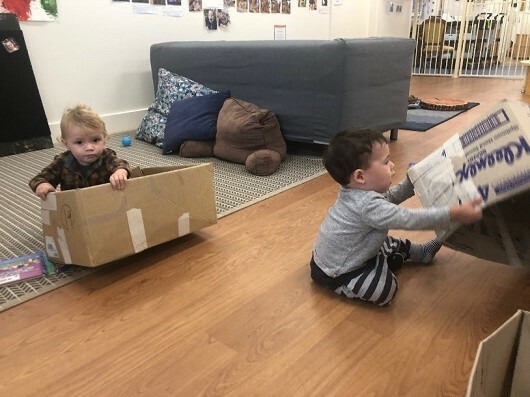 We are sad to be saying goodbye to our toddlers, but also excited to celebrate the transition of our older infants into the toddlers’ program and, of course, to be welcoming new families to Murray House! Rigby House children are particularly interested in Christmas trees and the decorations that they see on these trees. 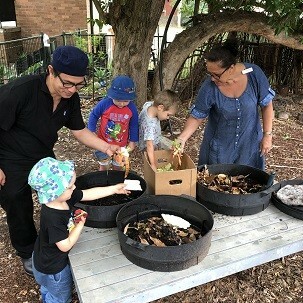 To enhance their interest, the educators and children created their own Christmas tree, with some branches from our gum tree. The children helped to place the branches in a pot, and then decorated the pot with shiny paper. To continue to extend the children’s understanding of reusing and recycling, the educators supported the children to reuse paper from the office to make decorations for our tree. They scrunched and squashed the paper into round shapes, which was a wonderful way to reinforce concepts of shape and size and counting. They enjoyed painting the balls they had created and when they were dry, the children placed them on our Christmas tree. Over the past few weeks the children in Robinson House have been inviting the children to participate in a yoga session. The children first started with warming up and were shown each yoga pose using visuals and a demonstration of how to do the pose successfully. We finished up with cooling down our bodies to end the yoga session. Our program at Robinson House allows yoga experiences to take place in a spacious environment, allowing children to be present in the moment. Yoga has a lot of benefits for children and adults – it allows use to become more flexible, and improves our balance, body awareness, self-control and discipline, builds muscle strength, and creates a sense of calmness and wellbeing. Yoga sessions can be made fun for children by playing games. 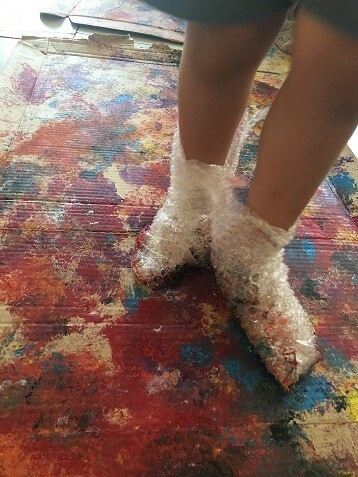 It awakens the children’s imagination when they are pretending they are animals, insects or objects. 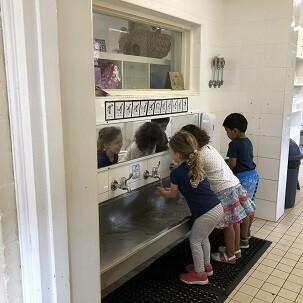 The children can make animals sounds too and listen to background relaxation music. Yoga can take children on an adventure by making up stories while in the process of the yoga session. 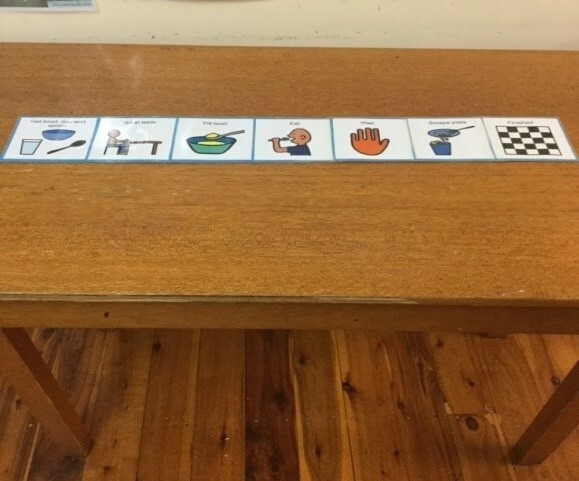 The children at Robinson House are really enjoying participating in their yoga sessions and they are bringing what they learnt home to teach their parents. These yoga sessions are inclusive of all the children who wish to join in and learn each yoga pose. 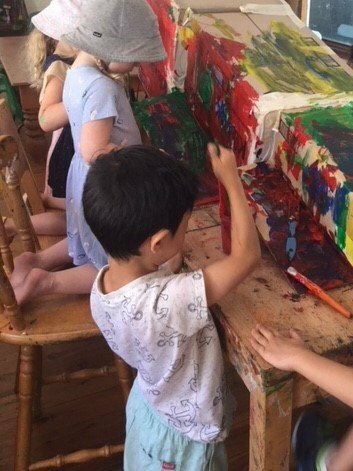 The children are really enjoying being involved as a centre community and are requesting more of these sessions throughout the day. 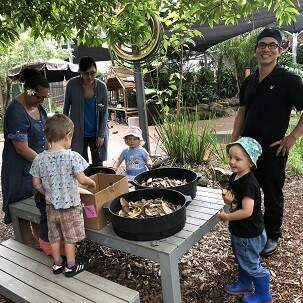 At Randwick/South Sydney Family Day Care Sydney Wide, educator Ebony set up a wonderful learning space for the children to explore creepy crawlies. 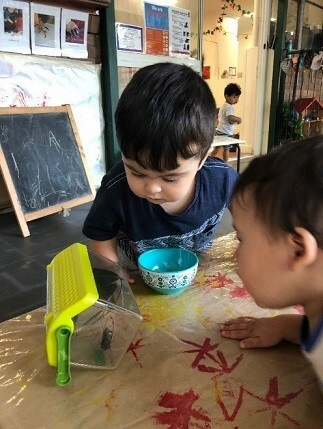 This learning experience was set up as an extension on the children’s interest around the bugs and insects which they have found in garden. 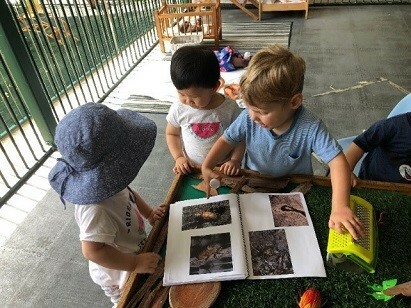 This experience encouraged the children to talk about ponds and creepy crawlies and to explore the natural materials that they had collected from the garden. One of the children enjoyed making a home for the little frog by using the hollow of a gumnut.